Celebrating Singapore Shores! : Sea cucumbers = healthy shores! Sea cucumbers = healthy shores! 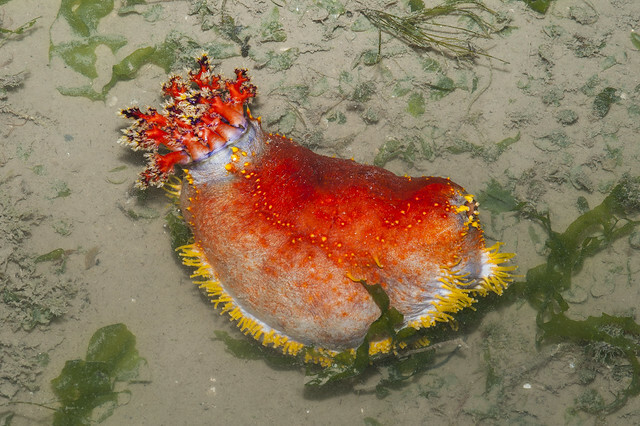 Sea cucumbers are animals and NOT vegetables as their common name suggests. A recent study of the Garlic bread sea cucumber found that they play a vital role in keeping shores healthy. Like giant vaccum cleaners, these sausage-like animals convert decomposing matter into nutrients. Similar to earthworms, as they burrow, they help maintain oxygen levels in the sediments despite higher water temperatures. Here's a glimpse at some of the sea cucumbers of Singapore's seagrass meadows. Often mistaken for worms, sea cucumbers are related to sea stars. Sea cucumbers can be round as balls, long and worm-like, or even U-shaped. 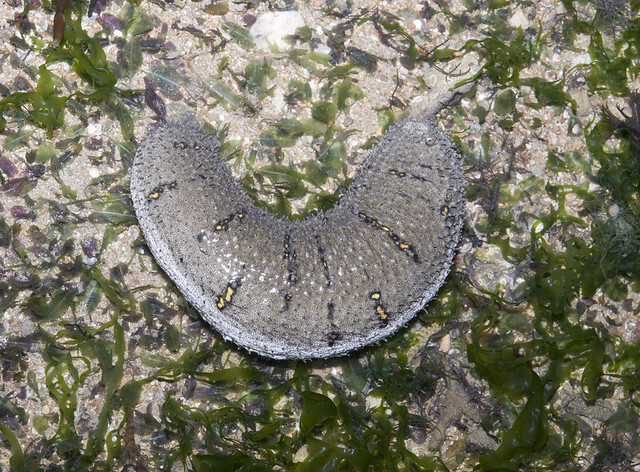 Seagrass meadows on our northern shores like Changi beach are great for spotting a wide variety of sea cucumbers. As well as other marine life. Being soft and slow, sea cucumbers protect themselves by hiding or being unpleasant to deal with. Some have toxins or distasteful substances in their bodies. The Sea Apple sea cucumber is highly toxic to eat and advertises it with eye-poking colours. 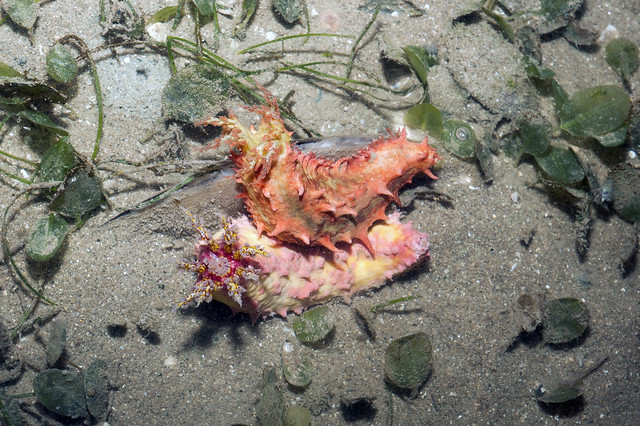 The Pink warty sea cucumber and Thorny sea cucumber are particularly common on Changi and some other northern shores. Their bright colours also suggest that it's probably not a good idea to eat them. 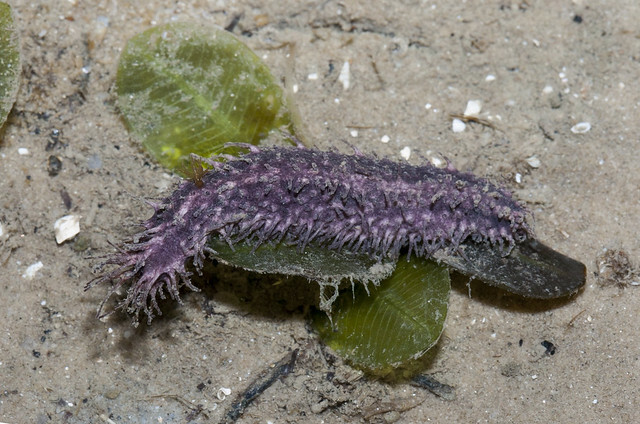 Other colourful sea cucumbers seen in our seagrass meadows include the Purple sea cucumber. Most sea cucumbers have tube feet which are used to cling to things. 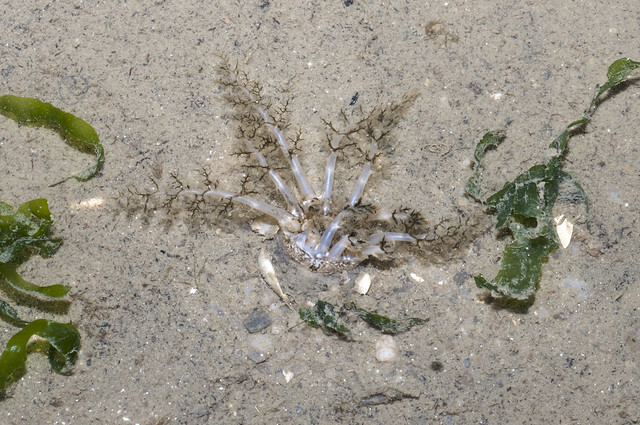 Some sea cucumbers live buried in the sand, like the Ball sea cucumber which can be plentiful on our sandy shores. At high tide, the feathery feeding tentacles emerge to gather titbits from the water. 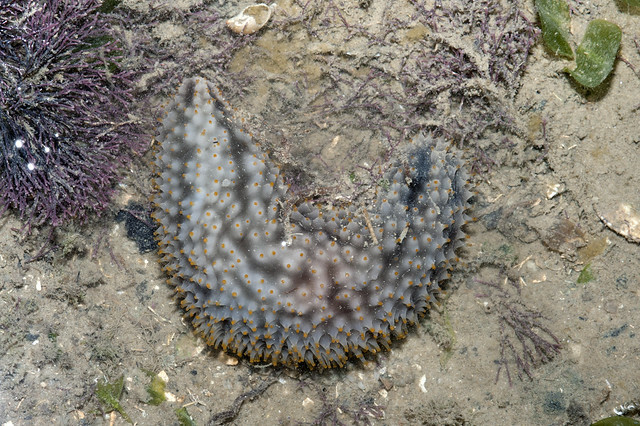 At low tide, these are retracted and there is hardly a trace of the sea cucumber on the surface. The Plasticky sea cucumber is another burrowing sea cucumber that is sometimes seen among our seagrass meadows of the north. The Polka-dotted sea cucumber seems to be seasonally common on our northern seagrass meadows. Where can I see sea cucumbers in Singapore? Join intertidal walks by NParks at Chek Jawa, Pulau Ubin. Check out these opportunities to explore our shores through walks, or during volunteer work for our shores. 13 June (Wed): FREE Public Talks on Seagrass! Learn more about seagrasses from the team at the 13th International Seagrass Biology Workshop for this special series of public talks titled "Translating Seagrass Science Into Action". 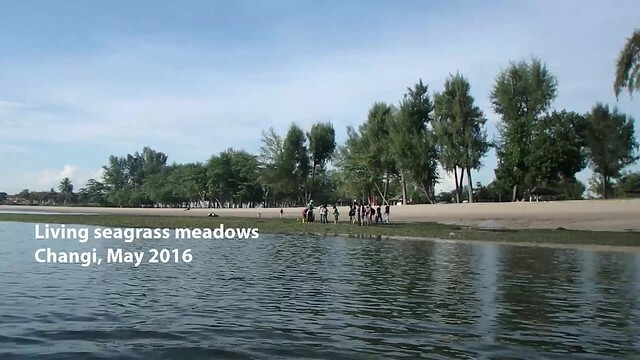 Here's more about Singapore's seagrass meadows and how you can visit them and make a difference for them. 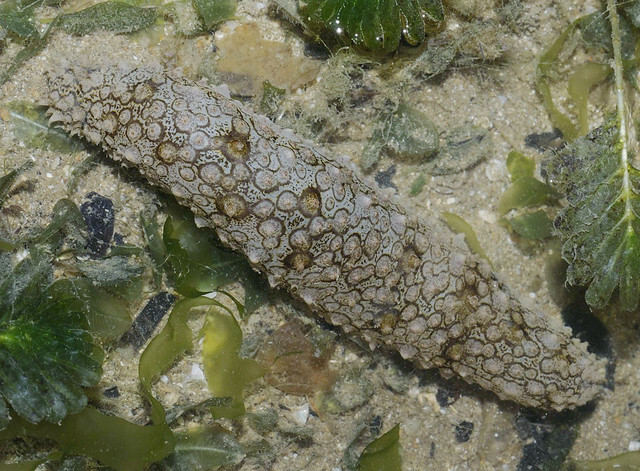 Learn more about Singapore's sea cucumbers on the wild fact sheets on wildsingapore. 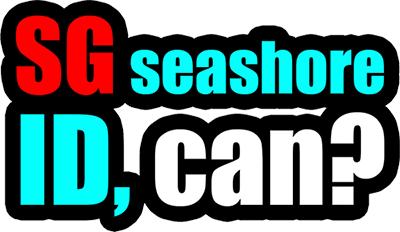 Labels: seagrass meadows, sgmarinelife, singapore got marine life meh?